Clean away annoying carpet stains, lift away in-ground dirt and help manage allergy symptoms for a healthier home. Learn how our water and oil repelling stain protection treatment will keep your carpets and upholstery looking great. We promise you expert cleaning results with a 100% satisfaction guarantee for your carpets, rugs, sofas, fabric and leather upholstery, curtains and mattresses. 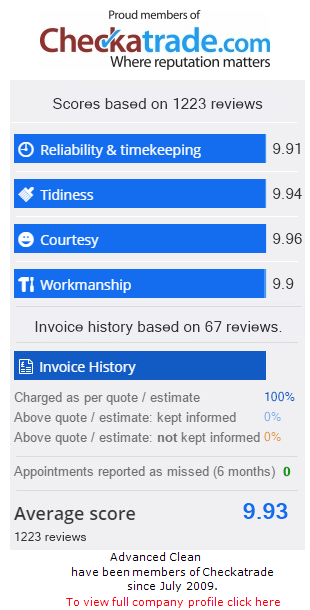 We look forward to showing you why our customers rate us highly on Checkatrade.